Jewelives Silicone Omelette Mold for making the cute Breakfast make delicious food. 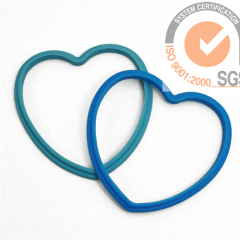 Silicone egg rings in Food grade material with High quality + compatitive price+ Best service+ Fast delivery time. 1.Silicone bear shape egg ring. 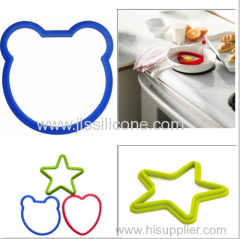 Bear shape Silicone egg rings,cute style bring you a sunshine day. Hardness: according to customer's request. Different colors, sizes & styles are available. Temperature resist: -40 to +230 centigrade. Temperature resist: -40 to +500 centigrade. Easy to clean and remove. ~Safe for dishware,microware, oven, freezer, easy to clean. Group of Silicone Omelette Mold has been presented above, want more	Silicone Omelette Mold and Silicone egg frying mold egg cooker, Please Contact Us.